the Route (Art Spin 08/2012) is a nine-channel video projection created for Art Spin's bicycle art tour and Annual Exhibition. 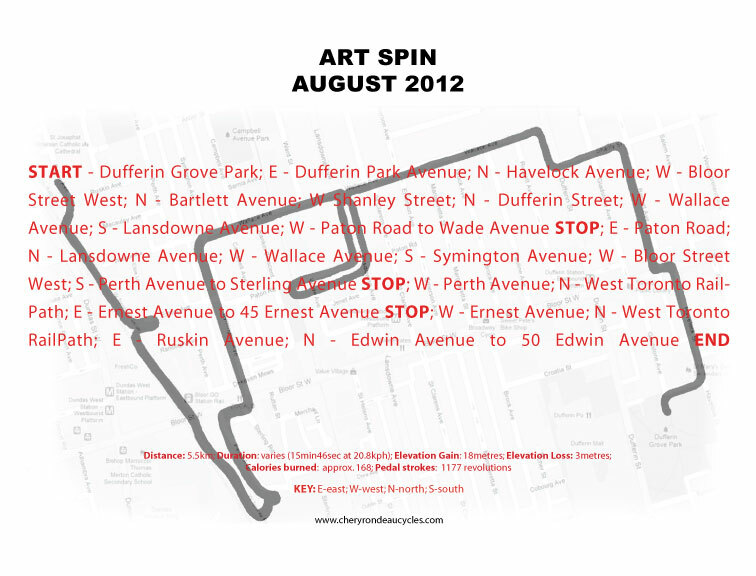 Using their proposed route for their August 2012 bicycle tour of art galleries, artist studios and performances. I cycled it three times while recording my experience from three different perspectives, and, at three different times of the day (7:30, 13:30 and 19:30). The projection was accompanied by a handout that provided details on cycling the route.